Not sure what to tell you, i didn't get any reports of it saying it doesn't work at all. probably something with your armor pieces? what do you want to disguise and what do you want to disguise it as? I'm attempting to disguise Bound Armor (from Blood Magic) as Thaumium Fortress Armor. When that didn't work, I also attempted to disguise the Cowl of the Abyss as a Thaumaturge's hood. When that didn't work, I attempted to make the Bound Armor invisible with the potion recipe and still had no luck. Is there any Trick to get those Core? I try it in the Air on Cloud level >Y 200. And how do I can make Ordo Cores? Close to an Ordo node? 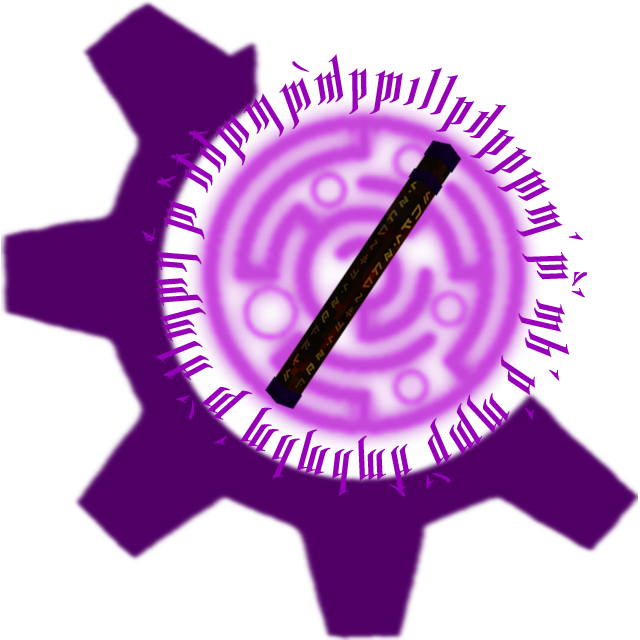 The aura core scanns blocks around itself just like you do with the Thaumometer. It then breaks the aspects down into primals and stores them. So depending on the blocks you'll get an aura core of a specific type. It fails if there aren't enough blocks around or if it didn't reach a specific aspect count i can't remember at the moment. Ordo is also not easy. i suggest chiseled stone bricks then you get it down to 50/50 terra or ordo. Is it possible to creates some tainted nodes with your Mod? I'm trying to upgrade my Ethereal Familiar with Arc Amplification 1 and it doesn't seem to work; the infusion won't start. All the ingredients are in place; do I need exp levels or something the entries aren't telling me? Never mind; I read the bit about needing an elemental upgrade first. Still, I can imagine that confusing a lot of people. yes, the prerequisite that you have to augment it with an elemental augment before doing a damage/range/attackspeed augment is not obvious at all. The only "hint" is that you have to research 1 of the elemental augments before the damage/range/attackspeed ones unlock.. The next update might include some more clarifying hints, but for now it'll stay that way though. That is true and i'm not going to deny it. It doesn't impact performance or gameplay in any way, it only might add <1 second during startup. However i'm also not telling what it is that we added. If you're curious you can dig through the src on github. It's nothing malicious - you can write me a pm and i'm telling you what it is, if you're concerned about something. So i did like every research but this one, Silverwood Golems. Here is a screen of it. How am i supposed to solve it? As you can see there is a free space before the Praeciantatio aspect. I have no idea how to do that research. Am i missing something? Make a new research note. everytime you create one, the hex is generated differently. I'm super glad that the ethereal familiar go an upgrade, but ironically, the upgrades don't seem to work for me. I'm 100% sure I have all the ingredients in the right places, and I'm not sure what else I could be doing wrong. The story is, I started with the "sensitivity boost" upgrade, but when I tried to start the infusion, nothing happened. After a while, I went and looked at the "frequency emission overdrive" upgrade, but noticed a recipe error: the text says it requires a primal focus in the recipe, but the visual didn't show any. There was a sword of the zephyr, though, which I figured is where the primal focus would go, but I just didn't bother with it. So I tried the "arc amplification", and that didn't work either... I haven't tried any other upgrades, but I'll try them and keep you updated. The lightning impact works. I was thinking that you maybe have to get this one (or the other 3 special ones) to use the amplifiers... I will test that now. Ugh.. i guess the texts are still a bit outdated for some familiar recipes... They should work though. They did when i did the last few bits of testing. Keep in mind that you can only have 1 elemental upgrade - either fire, lightning, poison or enervation - and only 1 amplifier - either damage, range or attack speed - on a familiar.